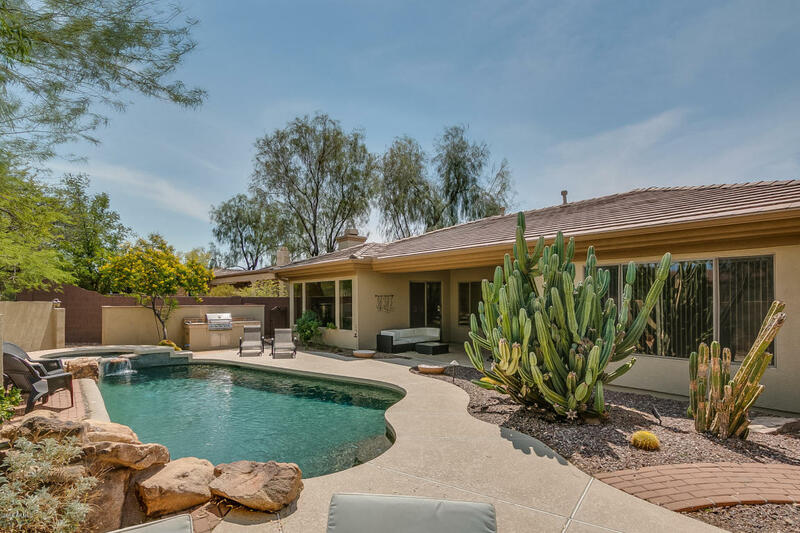 Get some room and a view in this beautiful Nicolet Model, located on a view lot in Anthem’s award winning Country Club. Outside on a large lot, there’s a sparkling, heated pool and spa with a natural rock waterfall, plus a gas-fired beehive fireplace for those moonlit evenings. Inside, you’ll find stainless steel appliances, granite counters, 9-foot ceilings and skylights, plus an eat-in kitchen with an island… and a fireplace. The master suite is oversized.